At a Senate Armed Services Committee hearing today, U.S. 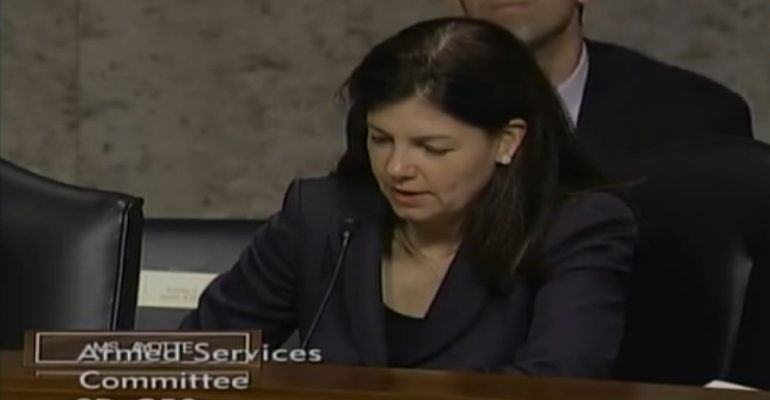 Senator Kelly Ayotte (R-NH) questioned the Under Secretary of Defense for Acquisition, Technology, and Logistics, Frank Kendall III, and highlighted the importance of improving Pentagon acquisition processes to save taxpayer dollars and to ensure that we provide our service members the support they need. Contingency plans are being made in the form of A-10 amendments should House Armed Services Chairman Buck McKeon fail to include money for the A-10s in his chairman’s markup, which will be released Monday, according to POLITICO. Barber is trying to save whatever he can and has set his sights on a smaller figure in order to keep the planes flying through fiscal 2015, according to POLITICO. We have a choice in this primary election folks. Continue with the waste, fraud, and abuse and support the candidate the GOP elites and McCain are forcing down our throats (McSally) or go with a winner and a person who knows how to get things done Chief Chuck Wooten. Get people registered and let independents and libertarians know they can make a difference in who we send to congress. Chief Wooten cannot and will not be bought. His reputation is on the line and he has worked hard to keep his integrity and honor intact. Stop complaining and get to work folks. We have someone worth supporting. The waste has got to stop!!! Our fighting hero’s deserve better than that. We will only have peace through strength. 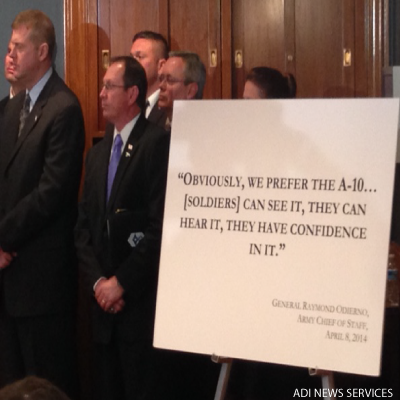 Reducing the A 10 will show we are weak. I agree with JOJO. Chuck Wooten is the answer. He has already started working for us. We need someone in Washington who owes nothing to the elite. Chuck is a honest, hardworking conservative. Being a fan of both the Warthog and Chief Wooten, I’m compelled to agree with both jojo and Sara. Not only has Wooten been a staunch supporter of the A-10 from the get-go, but he’s the only candidate I’ve seen in years who possesses the ability to communicate with a truly broad spectrum of voters while keeping his integrity and focus intact. At age 70, I’m hoping not to face combat any time soon–but were that to happen, I’d certainly want to know an A-10 flight could be called in for close support if needed. And when it comes to close support on the political front, yeah, having Chuck Wooten in Congress is just as important. Were I to need assistance and put in a call to Wooten, I’d know help would be on the way if at all possible. Were someone like McSally to get the CD2 House seat and I put in that same call, I’d not even expect the call to go through.